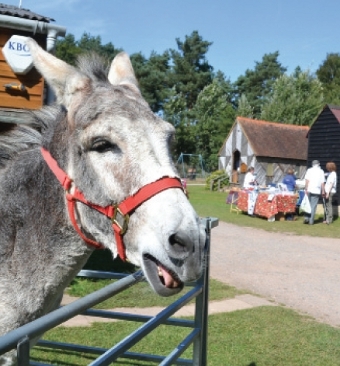 SURREY’S Rural Life Centre will be ‘all ears’ on Sunday, September 7 for the Donkey Day Out. Visitors will get the chance to see the many uses to which donkeys have been put over centuries, and learn about the rescue work by charities such as the Donkey Breed Society, which is hosting the event. The day will feature rides, talks, demos, displays, a raffle and a grand parade. On the same day, the Farnham Beekeepers Association will hold their bee show in the museum’s village hall, and the centre, near Tilford, will also host a tree walk through the arboretum, beginning at 11am and lasting for about half an hour.